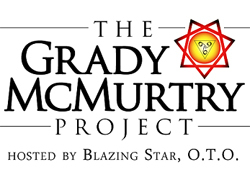 NOTE: This essay was the first in a series of memoirs which Grady contributed to the original Thelema Lodge periodical. In this essay, Grady reflects on Karl Germer and the transfer of authority in OTO. Footnotes have been added with editorial notes supplied by Bill Heidrick. His primary claim to fame as Aleister Crowley and the O.T.O. are concerned is that for many years while living in New York in the ’40s and ’50s2 (where I met him once on my way overseas to England in 1943 and once on my way back in 1945) he was able to transmit — this was known as the monthly transfer — $200 a month every month for several years to Aleister Crowley who by then was living in England. This money was not, strictly speaking, considered to be A.C.’s living expenses. In fact, there is a rather poignant record that when Crowley was dying in Hastings in 1947, in abject penury so far as earthly goods were concerned, that he had to be reminded that he had several hundred pounds in a box under the bed. This was the Aleister Crowley Publication Fund. (To relieve your anxiety, yes, he did use some of it out of necessity for medical expenses at or near the end.) The way it came into being was this: There had been a number of O.T.O. Lodges under Crowley’s jurisdiction in various English speaking countries in the ’20s and ’30s — in Canada, the United States, Australia etc. ; but these had somehow disappeared — I remember seeing a file of letters from those days and one of the curious things that struck me at the time was their way of addressing each other; “From the valley of Vancouver to the valley of Los Angeles” — anyhow by the late ’30s these had all died out and the only Lodge under Crowley’s control was Agape Lodge in Hollywood-Pasadena. I myself was initiated into Agape Lodge when it was still on Winona Boulevard in Hollywood in the late ’30s — but that’s another story. I must sometime tell you about Ray Bradbury and the Los Angeles Science Fiction Club. Also about Wilfred Smith and Liber 132 — Anyway. The way the Aleister Crowley Publication Fund came into being was that a small number of dedicated Thelemites — Jane Wolfe, Wilfred Smith, Regina Kahl, Ray and Mildred Burlingame, Roy Leffingwell — we really must get the list together some day — were mostly living in the Los Angeles area at the time. Jane Wolfe had been a feature player. Wilfred was an accountant until his association with Crowley became known, whereupon he was demoted to bookkeeper. Roy was a bartender. Mildred was a waitress. Lew3 was a sometime bit player in Hollywood. Regina taught Drama at U.C.L.A. — These people literally went without (passed up that “better house” or that “better car”) during the Depression to contribute a few dollars a month. This money was given to Wilfred Smith as the head of Agape Lodge. He would transmit it to Germer, who would put it together with whatever other money he could and see to it that Crowley got $200 every month. As I said, this went on for years. Obviously Karl Germer was a dedicated man. Crowley died in 1947 e.v. Now there is no doubt that Karl Germer would have been elected O.H.O. There was simply no one of stature to oppose him. I was living in San Francisco, using my War II GI Bill at the University of California across the bay in Berkeley, and certainly had no such ambitions. I was much too involved with my own affairs to worry about it. Wilfred Smith had been removed by the strictures of Liber 132. Jack Parsons was out of it due to the investigation — of which I had been a part — into his Babalon Operation. Roy Leffingwell? Ray Burlingame? Wonderful people and dedicated Thelemites; but no one thought of them in terms of Outer Head of the Order. Lou Culling? A joke. That left only Germer. So we went on doing our trip and waited for Karl to call the convocation. You can imagine how surprised we were one day to receive a letter from Karl saying that he was now Outer Head of the Order! What to do? Obviously there was nothing we could do. Karl Germer was the highest ranking member of the Order, short of revolt (no one could imagine that) there was no recourse. I remember that we wrote and talked to each other and wondered why Karl would disobey Crowley’s instructions, but it was his Karma — we had to let it go at that. True, it was unfortunate that Karl was only de facto O.H.O. instead of de jure O.H.O. as Crowley had meant him to be; but it was no matter. Karl was obviously O.H.O. either way. Sometime in here, ’47 or ’48 e.v., Karl got Crowley’s library from England and decided he needed larger quarters; so he bought a substantial house with grounds outside Hampton, N.J. Whether he used any of the money from the Aleister Crowley Publication Fund for this no one could ever prove. Anyway, I visited him there several times in ’51 e.v. Later he and his wife Sascha would come to California, and ultimately he bought a two story house outside West Point, which is up in Calaveras County in the gold rush country. By then I was back from the Korean War living in Berkeley, and doing the graduate student trip in political theory at U.C. Later I moved to Sacramento. Anyway, about this time — the mid ’50s — I came to realize that the Order was dying because Germer wasn’t initiating people. So I brought this up in one of my periodic visits up to West Point to see him. His reply, which I have in writing, was that, and I quote: “I consider all that to be the lower magick.” Well, lower or not, and human mortality being what it is, you still have to have a supply of new members if an Order is to survive. 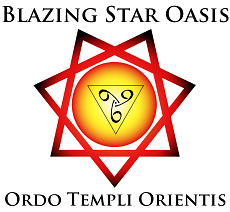 Besides, to deny true Thelemites the opportunity in their incarnation to become a part of Aleister Crowley’s Ordo Templi Orientis is in my opinion a crime. (See the description of grades of the O.T.O. on page 246 of the Blue Equinox where the indefeasible right of initiation up to and including the IIIrd Degree is emphatically stated.) So I decided to do something about it. I was just another IXth Degree Indian running around the old O.T.O. reservation; but there was the old problem — I had no money. I had used up my War II GI Bill taking my B.A. in Philosophy, and the only thing I got out of the Korean GI Bill was that they would pay my tuition and buy my books. Stated simply, I was flat broke. Something had to be done. Now at that time, there were still enough survivors of old Agape Lodge living in southern California that, I thought, it was just possible we could get together and say to Uncle Karl, “Look Karl, we love you; we just don’t understand you.” At least that is what I had in mind. So, by hook or crook I was able to make four trips to southern California: once to Barstow to see Jean Sihvonen (widow of Max Schneider); twice to see Helen Parsons Smith, who was living in Malibu at the time; and finally I got them all together in the Burlingame’s place in Lakewood one night. Brother Montenegro came in and I pulled a chair out into the middle of the room and said something to the effect; “Well, now that we are all here, let’s get started.” Whereupon Brother Monty completely blew my mind by grabbing another chair, planting it in front of me and saying; “Grady, you must stop what you are doing and promise never to do anything like it again!” Since what I was trying to do was get the O.T.O. back together again, my agreement was unlikely. Even more unlikely was that nobody had said anything. So I looked around to see what was happening. Jean Sihvonen and Aleister Ataturk MacAlpin and Rhea Leffingwell — the Barstow contingent — were standing behind me over against the wall looking as if they had been frozen in time. On my left, Ray Burlingame was sitting there smoking a cigarette — he would die of emphysema a few years later — with Mildred sitting next to him and their daughter Layla standing behind them. Were it not for Ray’s cigarette smoke, you would have thought they were sculptured in wax! What I was looking for was some recognition that they understood what had just been said. For what Monty had just said to me was that he knew better than I did what my Will was, and no Thelemite can say that to another Thelemite. At that point I had a choice. I could wake them up, point out the impossibility of what Monty had said, and demand backing in my attempt to get Germer to reconsider his policy of “no initiation,” or I could recognize that some things have to die before they can be reborn. I chose the latter. I turned back to Monty and said, “Not under any circumstances!” The group broke up in a smattering of small conviviality, and that was the end of that. In later years I would think that perhaps I had made a mistake; that maybe I should have argued it out with them and gotten their backing against Karl. But to what odds? It would have been like winning a battle only to lose the war. I also have correspondence from Germer at the same time telling me about how he knows about my visits to the south and how he knows about the “conspiracies” against him. If I had gotten the southern California people together, Karl would have expelled me from the Order as the head of a conspiracy — just as he expelled Kenneth Grant at about the same time. True, he was not de jure Outer Head of the Order; but, like it or not, he was functioning as Outer Head of the Order. So I took a job in Washington D.C. in 1961 and disappeared for about 10 years. Karl Johannes Germer died in 1962 e.v. without having made provision for a successor as O.H.O. In his Will he left Aleister Crowley’s library in the hands of his wife, Sascha, who was not and had never been a member of the O.T.O. A few years after, the house at West Point was raided by an outlaw gang from Los Angeles calling itself the “Solar Lodge of O.T.O.” and much of Aleister Crowley’s library was gutted and dispersed. Karl Germer’s policy of not initiating new members into the O.T.O. had yielded a bitter harvest. That’s why there has been a seeming discontinuity in the Order — why people haven’t been able to find viable lodges of the O.T.O. Karl Germer willed that it be so. With the publication of the Thoth Deck, however, I came to realize the necessity of activating the documents of authorization Crowley had given me, and of acceding to his plan. Laid out in his letters to me, Crowley said that I would be his Caliph following the death of Karl Germer. Thus, like the Phoenix the O.T.O. rises again. This time the Order is under the aegis of the Caliphate. The criterion of legitimacy is continuity, and this is supplied by the Caliphate letters, and my documents of authorization from Aleister Crowley. Despite silence and suppression, Aleister Crowley’s Ordo Templi Orientis remains alive and well and initiating in Berkeley. 1. Grady probably meant to say ’30s to ’40s, as born out by Crowley’s charter documents to Germer, etc. 2. Sic. Germer was there, but Crowley was not alive after 1947 e.v. 4 Grady’s interpretation is disputed. The notice is for A.’.A.’. elections, and it is only by considerable construction that O.T.O. could be seen to be implied. The “Intimations” in the 1919 e.v. BlueEquinox omit the details of elevation, but the 1917 e.v. O.T.O. Constitution indicates the practice to be appointment of a successor by the reigning O.H.O. The latter is born out in Crowley’s letters. Germer failed to appoint his own successor, a matter finally determined in US Federal Court, and Grady’s status as O.H.O. by virtue of conditional notice by Crowley in correspondence was held to be valid by the same court. Grady made provisions for succession by election, and this was carried out in September 1985 e.v. Note: Originally published in the O.T.O. Newsletter, I:2 (Autumn 1977 e.v), and Thelema Lodge Calendar, May 2003.